Custom Ranch Style Home on Large Corner lot, 3 car garage, fully landscaped, covered patio, with enclosed area. 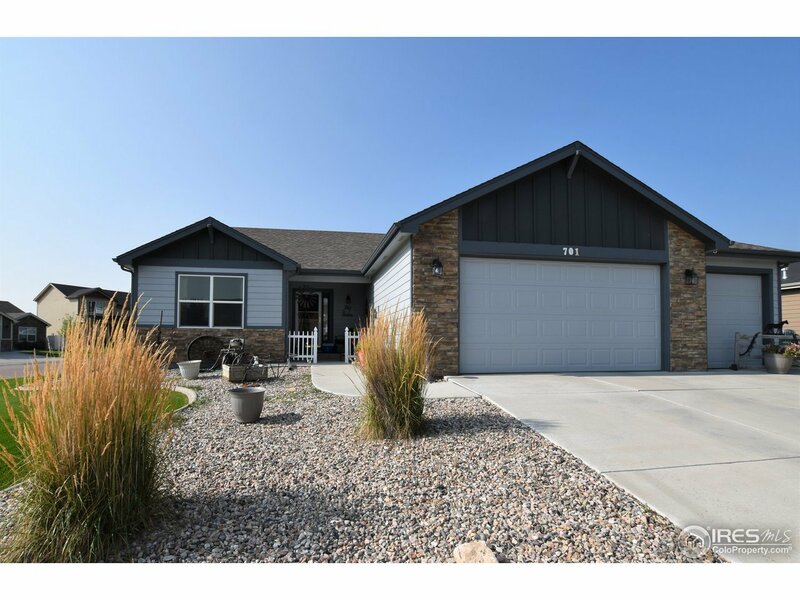 Hardwood floors in living room and kitchen,open floor plan, pantry, vaulted ceiling, Granite counters in kitchen, over sized custom walk in master shower nicely tiled, 1/2 bath in large open basement, basement is carpeted. Range View Elementary is across the street.